SNK has ordered Neo Geo X creator Tommo Inc to cease production of the device. 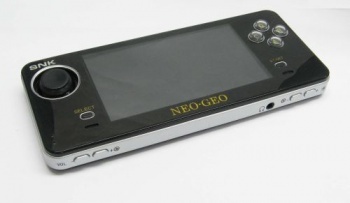 Remember that super-slick Neo Geo X handheld Neo Geo we saw last year? While it was initially endorsed by SNK, it appears that the publisher has changed its tune, ordering creator Tommo Inc immediately cease sales of the Neo Geo X and remove all stock from retailers, both physical and online. This means that the Neo Geo X Gold Limited edition that has been on sale since December last year, along with the six game packs (NeoGeo X Mega Pack Vol. 1, and NeoGeo X Classics Vols. 1 through 5) are finished. Tommo is not allowed to "manufacture, distribute, market, promote or sell" the Neo Geo X, says an official notice on SNK's website. Additionally, Tommo also produces a Neo Geo X arcade stick, which SNK has also halted the sale of. "In order to protect our intellectual property rights such as 'NEOGEO' and 'SNK', decisive measures will be taken against all unapproved NEOGEO X products not subject to the Licence Agreement," reads the official statement. I'm not sure what happened between these guys, but it seems like it wasn't the smoothest of breakups. It seems rather bizarre to suddenly drop the hammer now, considering the handheld has been out for almost ten months. At time of writing, it looks like GameStop is at least still stocking Neo Geo X products, so if you ever wanted to get one, you better hurry before SNK snaps them all up.